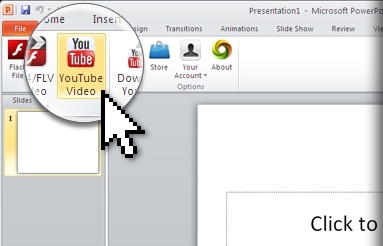 Play YouTube videos in your presentations. Seamless support of HD 720p as well as HD 1080p videos, online or offline. Trim videos to select the exact needed portion. Choose a Poster picture displayed during the Slide Show. Play Full Screen over your Slide or directly into your Slide. 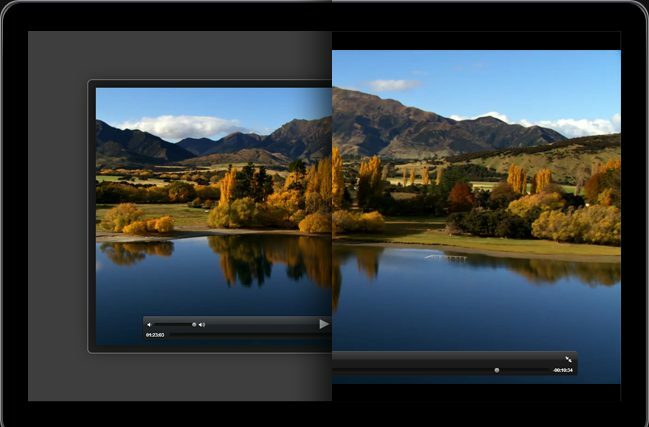 Once inserted, the video can be trimmed to select the exact relevant video portion you wish to show to your audience. 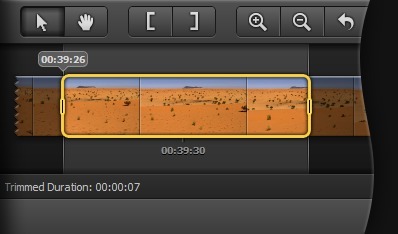 The Trimming Tool includes thumbnails preview, instant playback, zooming and panning over the entire video. The trimming operation will take you seconds. Additionally, the Poster Tool enables you to choose the video picture of your choice to be displayed in your slide, if you need to print the presentation for instance. Need to run your presentation without an Internet connection? Simply download your YouTube video on your disk using the included YouTube Downloader. Browse and search YouTube, select the YouTube video, choose the playback quality and ShowRoom will save the video on your disk, in FLV or MP4 format, depending on the selected playback quality. Instantly play MP4 videos, M4V videos and FLV videos (Flash videos) in your presentations. Supports HD 720p as well as HD 1080p videos. Trim videos to extract the exact needed portion. Fast even for large videos. Choose a Poster picture displayed during the Slide Show. Play Full Screen over your Slide or directly into your Slide. The video can be displayed into your slide, at the place you choose. Click on it to play, or start it using a custom animation effect. Your video can also be displayed in full screen mode, over your slide. The Black Frame decoration enables you to let your slide visible in the background. The Entire Screen decoration uses the entire screen of the presentation to play the video. The video player then returns back to its original position at the end of playback. Directly insert Web Videos into your PowerPoint presentations just the way you embed videos in web pages. Copy/paste the Embed Code provided by the video sharing site into the 'Insert Web Video' dialog box and playback the video during the slide show. Web Videos have successfully been tested with YouTube, Dailymotion, Vimeo, Metacafe, veoh, viddler, blip.tv, Myspace, break.com, archive.org. Many other online video sites that support the embed code will also work.